The wet earth smells of mushroom and loam. I race through the trees. Branches reach for my eyes and tangle my hair. My kirtle rips, but I still run, faster through the woodland, escaping the murderous men who chase behind me with vicious, barking dogs. The men are my enemies and the woodland is my friend. I climb a tree to its tip, to where the branches thin, and I see the dead bird there. Only its mouth is open and it is singing with the voice of my father. I touch the bird, and it flies away. "I saw a bird dead once. I picture my father this way." Twelve-year-old Lily has not seen her father for more than eight months. He was taken from her and her mother one night by the baron's men, forced against his will to leave England and to be part of a colony in the New World. And now Lily and her mother are in danger -- for the baron's men say they no longer have any right to their land. They also face persecution for being followers of Frere Lanther, a man who has been excommunicated by the church for wanting to purge it of its corrupt practices. Their one chance for safety and freedom is to take passage on the next ship out to the New World. Afraid her father is dead, hopeful that he might yet live, Lily and Frere Lanther persuade her mother to flee. The harrowing voyage reveals painful secrets that strip Lily of her innocence. But Lily also makes a friend -- a boy named Ethan, son to none other than the baron himself, who is also onboard. Together Ethan and Lily navigate their way through betrayals and treachery in a strange new land. Separated from the group, lost in the wilderness, and captured by an Indian tribe, Lily must reach deep inside herself and tap into strength she never knew she had if she is to survive. Richly imagined and beautifully written, Redemption is an epic adventure of family, growth, and love from a major new talent. I saw a bird dead once. It looked perfect, just lying on the ground on its side, its little claws curled up, one eye slightly ajar, the inside white. I ran my finger over its fat, puffed wing and tried not to disturb it. It seemed the bird might wake at any time. I picture my father this way. We live on a stony track, up a hill, on a small croft father earned singing to the people. Father is choirmaster for the village church, but in the eyes of Frere Lanther, he's a minister. I haven't seen my father for 8 months, 2 weeks, and 2 days. The prefect and the beadle pick their way up the track to our cottage with the law in their hands. They want the croft, the cottage, the stable, and the field back, they say, since mother is not the choirmaster. The choirmaster has deserted us, they say; and worse than that, mother took Frere Lanther in, which makes her, in the eyes of the law, a wicked person. In a low voice, mother says to them, "How many times do I have to tell you, I don't know any Frere Lanther." She shouts, "You take away my husband -- now you wish to take the rest?" The prefect's straight white hair sticks out from under his red cap. "We do not know what happened to your husband," he says, "that is your own business. All we know is you do not deserve to live on the baron's holdings." Crooked lines of sweat run through the white powder on his face. I smell the nervous humors of his body which twitches at mother's every shout like Mistress Knapp's lousey cur. For near this whole September month, these men and others have come by saying the same thing about the baron's holdings and Frere Lanther. Some hit mother; one time they took her into the cottage and locked me outside. I ran to the woodland and stayed there till it got dark. "'Our Gracious Baron decrees that you'" -- he looks up at mother, then brings his shiny face down to me and smiles with his rot-blackened teeth -- "'relinquish this property to the use of Our King's proper servants.'" The beadle is older than the prefect, and has stains where his legs push forth from his purple hose and his gut from his green doublet. He is too tall and spindly to be anything. Mother draws me to her and stands with her arms crossed over my chest. She has done many things to rid us of these men -- slammed the door on them, waved our knife at them -- but that only angers them. Screaming is all she'll allow herself now, that and doing what Frere Lanther suggests. "Without field and shelter, how am I going to care for my girl?" She hugs me closer. The prefect reaches out and pulls my hair, gently. "I could take her for you," he says to mother. She urges me round so I'm standing behind her. "No, you will not." "We could take both of you." They smile at each other. "If you try, I will cut your tongues out and feed them to the pigs. No, I'll eat them myself, I'll roast them and eat them for breakfast." Frere Lanther has suggested we curse straight out at the men if they won't go away; he says this will confuse them, as we are believed to be far too pious for the common religious crowd. Mother says it is dangerous to provoke them, that we could easily be disemboweled and quartered for doing so, but it seems to work; the men look like someone has just poked them in their bungholes with a hot iron. The beadle stands up straight and blows as though he's been holding his breath under water. "You are vile," he says. Mother puts her hands to her hips. The prefect says, "We have another offer, since you are such a stubborn woman." "To take passage on the Adonis to the New World." "And die like my husband?" Yesterday, when Frere Lanther told us about the ship at the port, he asked mother to go, but she said those same words to him, so I know for sure my father is dead. Sleeping with white eyes like a bird. "We know nothing of your husband." "Away with you," mother orders them. "The ship is leaving in one week. We exceedingly urge you to be on it. You will not have this cottage or croft for much longer, Mistress Applegate. We advise you heed this warning." "You just want to be rid of us! To kill us off in the sea!" Mother is shouting again. The men look at each other with smiles that make their chins double. "A ship to the New World does not sail every day," the prefect says. Mother told Frere Lanther that she thinks the evil we know is better than the evil we don't know. She has bad jeevees about it; that is why she does not want to go to the New World. "And if you don't quit the baron's property soon, he will come himself and remove you. I pledge you," he adds. "A plague on your house that rots your children's eyes and makes you choke to death on your own swollen throat," mother growls at them. I look round her and say, "A black plague." "Go on, chase off. Away with you!" she cries and I echo. We say it as nastily as we can. The two men's mouths hang open and their faces redden as they stare at mother. "You..." The beadle's sentence wisps away. The men back off. They will not kill us and they will not drag us afar. Not yet. Frere Lanther has hidden his press in our stable, and most times he sleeps there beside it. We have two chickens and Maisy, our cow. We used to have eleven chickens, four goats, two cows, Maisy and Daisy, and a workhorse named Jaspar. Maisy has bluebottle flies that won't leave her alone. We had more animals when father was here. The press fills a corner of the stable, behind a daubing of manure and mud and straw, where no one can see. Manure covers the smell of ink, Frere Lanther says. He's from the Rhineland and he works with mother to make pamphlets, which they give out to our neighbors who come to Mistress Grey's to hear his word. Father used to read the frere's writings aloud to us, and now Maister Blacksmith does. Frere Lanther sends his pamphlets with messengers to other villages. He's very careful in the stable so no one will catch him. He goes behind the daubing anytime strange men climb the track to our cottage. Last year, father spent many days by the fire scratching out a letter to the frere on precious paper from Black Mary's prosperous father. When Frere Lanther received the letter, he came from the Rhineland to Myrthyr and made father a minister in his own secret church. Frere Lanther brings us bread and meat and tells us funny stories about the Rhineland. Mother understands German from when she lived in Saxony with grandma, but Frere Lanther speaks mostly English to us. Mother says he's been excommunicated by the Pope of our Holy Roman Empire. That means he can never go back to the church again. Mother says he's still the most pious man she's ever met next to father. They woke us up one night, the men in dark capes, and took father away. Through a burning fever, I heard the wood-bottoms of their boots on the dirt floor, stomping, heard mother crying, "no, leave him, leave him be." I stumbled from my bed to see men, heads cloaked in hoods, carrying father by the arms, his legs dragging. As they bore father away, one man pushed me back so hard, I felt the imprint of his hand on my chest. I feel it still, as if he had pushed my heart out through me. I have not felt warm since then. Mother ran outside after the men fled. She stood clutching her open mouth in the stony track, looking for a long time to see if they would bring father back. I sleep with mother in her and father's bed now. Every night, she brushes the hair from my forehead and kisses me and holds me close to her. I watch her breath rise and fall in her chest till it is deep and steady. She is safe in fellow Sandman's arms before I let my own eyes close to join her. When people speak of the New World, I picture a dusty brown ball rolling away from me down a meadow. The boys play ball in the wildflower meadow, the one with the wood fence round it to keep out the cows, but they won't let me play with them, even though I can kick as hard as they. My friend Red Mary says that boys think girls who play ball are secretly witches and would never want to marry such a one, but I don't believe that's true. Frere Lanther works alone in the stable with the press. I love to watch him print with his large, stained hands, setting the letters, rolling on the ink, pressing down the damp paper and peeling it off, his two fingers holding up a real printed page. But he doesn't much like to be disturbed while he is working, so I must wait for him to bid me. "Lily," he calls when he hears me talking to Maisy as I brush the flies from her eyelids. I go round the wall to him, and he moves to pick me up under my armpits, but then steps back with a smile and holds up his inky hands. I'm much too big for that anyway, as father would say. I was born in 1512 and I am 12. I have had one birthday, on 24 May 1524, since father left. I perch on the wooden stall where Frere Lanther lays the pamphlets to dry. He looks seriously into my face as he wipes his fingers clean on a rag, then carefully lays the cloth aside. "Lily, what would you think about going traveling?" he asks me. His head drops like an animal's caught by the scruff, and his words begin again. "Lily, your baron is providing passage for certain people to go to the New World..."
"So he can kill us like father?" I ask Frere Lanther. I don't understand. I turn away from him like mother does with the men the baron sends. He holds my shoulders and puts his arms round me. I don't hug him back, and he lets me go. "I do not think your father is dead, Lily." He makes me look at his wide, solemn face, then steps away and shakes his head. "I say that so often." "Would you come with us?" "I have to stay here. I must return soon -- "
"But we can all be together." "There are more people here who need my help than we could possibly take with us, Lily." "Why do you want me and mother to go, then? Why don't you want us to stay and help? Or go to the Rhineland with you?" Frere Lanther picks up his rag and studies it. "I want you and your mother to carry the word of God like babies in your bellies that you will give birth to when you arrive," he says slowly. "Like Maisy and the calf?" I ask. He begins to wipe off the roller. "Like Maisy. And I want you to see your father again." He has gone back to work and is not looking at me anymore. He's put his thinking face on, like when he writes and thinks at the same time. "My father is dead," I whisper. It rings wrong, like a singing voice out of harmony. I jump down from the stall and run out of the stable. He calls my name, but I ignore him. Round the croft from the stable, at the front of the cottage, I peek through the kitchen shutter to see if mother is there, or if I have time alone to think. She is standing inside by the fire pit with her arms round her stomach, wearing father's old wool tunic. It hangs on her strangely. My chest swells with a soreness like when father went away. Mother appears smaller, as if she's vanishing. The way she stands frightens me; I want to fly away, to never see her like that. I run down to the fields and slip beneath the fence into the woodland, under the woven bowers of pine where I have my hidey place. One, two, three, four, five, six, seven, eight; I try to count each needle, each branch, each tree in my woodland. I trace the numbers on my face, the 0's of my eyes and nostrils, the 11's of my brows. I count the breaths I take, the notes to my favorite hymn, the ravens I see. I pray mother will be better when I return, for today is spinning day. I think of mother's nimble fingers at the wheel as she twists the threads out long and whole for the weaving. On spinning day, mother tells me of her life in Saxony before grandma and grandpa brought her to Myrthyr. She talks of her sisters and brothers who died in the foreign land from a plague which bloated their tongues in their throats. Mother says she can hardly remember their faces anymore. When she gets to that part, she starts crying. The stories of her family always lead her round to father. She clutches me to her when she talks of father and whispers how they met at the village well, and how the chore of carrying water became a joy when she did it with him. "He was so stern," she says, "not like the other boys. He would take the water jug from my hands, leaving his at the well till he'd seen me home." She laughs inside her tears and hugs me. "Oh, Lily, we shall see him again, one day we shall, even if we have to wait till we are in Heaven." I stay in my woodlands thinking of father and mother, counting needles and trees till God slowly begins to pull the sun back out of the sky. We sold the calf soon after her birthing. Frere Lanther let me stand near Maisy's head while he pulled the baby from her bum with ropes and pincers. A miracle, the way the smaller animal came from the larger. When father birthed Daisy's calf with Maister Blacksmith, he had me hold the pungent charmed herbs to her shivering forehead so her baby would come out alive. Maisy's calf was wet and bloody, and Frere Lanther said every birth was a portent. He took me outside when we were done; we knelt down to the dirt, and he scooped up some soil and rubbed it between his fingers. I rubbed a pinch too. Frere Lanther said we hold our breath waiting to see what the young creature will become. He said, "God is everywhere," looking at the dirt in his hand, "He is inside of us, He is a part of us." I asked him what he meant, and he smiled and laced his fingers together as if in prayer. "You and God are like this," he said, "and if you are quiet enough, you can hear Him making His way through your heart." The sky reddens with evening blushes as I come back from my hidey place in the woodland. I hear voices in the stable: Frere Lanther talking to mother. Often, from behind the wall, I can hear Frere Lanther and mother talking in hard whispers that sound like Angels arguing. Sometimes, I can even hear them from inside the cottage. I don't always understand what they are saying. "Volunteer, or they will take you away. They are coming for you, I see it. It is not safe for you here, Sarah." "They can't take me away, they won't take a woman with a child." "You underestimate them. You know that. They will take you, or they will kill you." "If you go now, you'll be able to bring some belongings. You'll be able to get a little money from the village church for this croft and the fields." "I don't want those people to have it!" "Sell the rights to your own people." "Pah! They are poor. They are like me. The baron would never give it to them." "Sarah, think for a moment. Do you want to be dragged off against your will? It's coming to that. How many times do you think they will come here and be turned away? And by a woman!" "I want to go to the New World, to look for father," I whisper to myself. I step in front of the wall to tell her. "Lily!" Mother has on her kirtle, and not father's tunic. "I want to go, mother, I want to go to the New World to look for father. To bring God's words." Mother looks at Frere Lanther. He returns her gaze. In her pale face, her eyes look like rainclouds. Her long brown hair is tightly bunned; everything else on her looks like it's crumbling apart. "I want to go, mother." Her eyes wander down to me. She stares. Her lips curl in tight, her eyes well, she covers her mouth with her hand. She shakes her head and sits. Her shaking head becomes a nod. Every year during the St. Sebastian Day fair, I'd sit atop the wagon of spirits with my straw cherub wings as we wheeled through the village to the old abbey, where people danced the bowhop and the minstrels played the lutes and drums and sang and we drank from the baron's barrels. If we had a chicken to trade at the fair, and some grain or cloth, we'd load Jaspar's panniers and bring them. We ate fried dough and apple slices and blood pudding. I danced with my three friends Mary; we all danced with boys. Father and mother drank from Maister Johansen's hogsheads and danced with all our neighbors. On the evening after the last St. Sebastian Day fest, we went home and father fetched Frere Lanther from a special place outside our village where he'd been hiding and brought him home for the first time. It was late and they thought I was asleep, but I listened to their talk. From a crack in my eyelids, I looked at the strange blond man who spoke with an accent. "It is a pagan Bacchus fest, Eric Applegate. It is not what God wants. You are not truly celebrating the saints this way." I wondered what Bacchus was and how Frere Lanther knew about the festival. "I agree," father said. "I studied the pamphlet you wrote until it fell apart in my hands. But I must participate to protect my family and our beliefs. The baron would know something was wrong if I did not." "But have you ever found reason for these activities in the Scriptures?" "No. I never have. That was why I wrote to you." "Do you believe they are truly Christian?" "No, no, I don't. They are merely an excuse for the church to take our earnings. I see that." "Do you think you should conceal your beliefs?" "They will find us out otherwise." "Don't be afraid of that. People will start to change if just one of you joins me to fight against the old ways. Eric Applegate, you can read, and that is rare; you will bring my word to your people. You will be my first minister in Myrthyr." Father was quiet. I could hear the stool legs moving on the floor as he shifted before the table stump. After a time, father said, "For many months now, I've felt the methods of the church wrong, yet haven't had the strength to fight them. I am honored by your offer, but I don't wish to put my family in danger, Frere Lanther." "Have faith, Eric. Together we can create a more truthful belief." Father shifted again upon his stool, turning the pages of the torn and broken Bible which lay on the table. "Forsake festivals, then," father said quietly. "I think so, Eric. We must start somewhere." Each week, as I throw rubbish and dirty water into the ditch in the track and watch it run down toward the village, I listen to the pipes and drums playing to celebrate the holy days or saint's days we have forsaken. Julie Chibbaro grew up in New York City wondering how so many people could live together without infecting each other with mortal diseases. After attending Performing Arts High School for theater, she ran away to Mexico, where she survived an earthquake and a motorcycle crash and learned a little something about death. Returning to New York, she decided to create her own fictional characters instead of playing one. 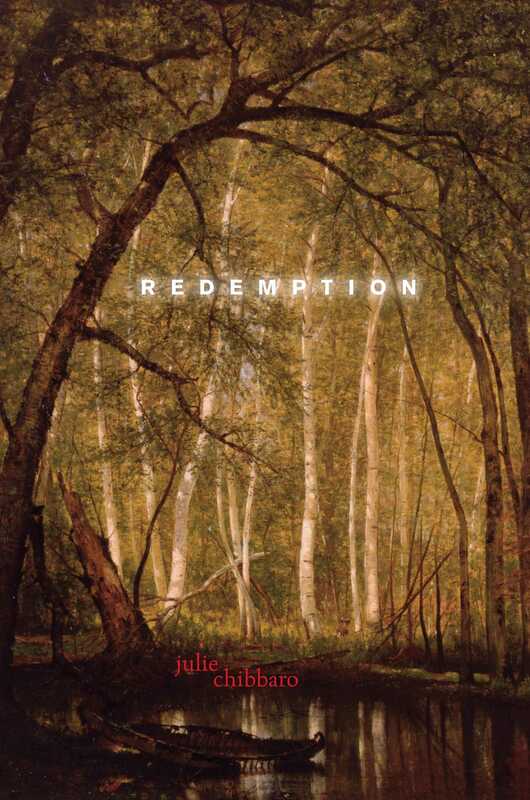 Julie Chibbaro is the author of Redemption, which won the 2005 American Book Award. 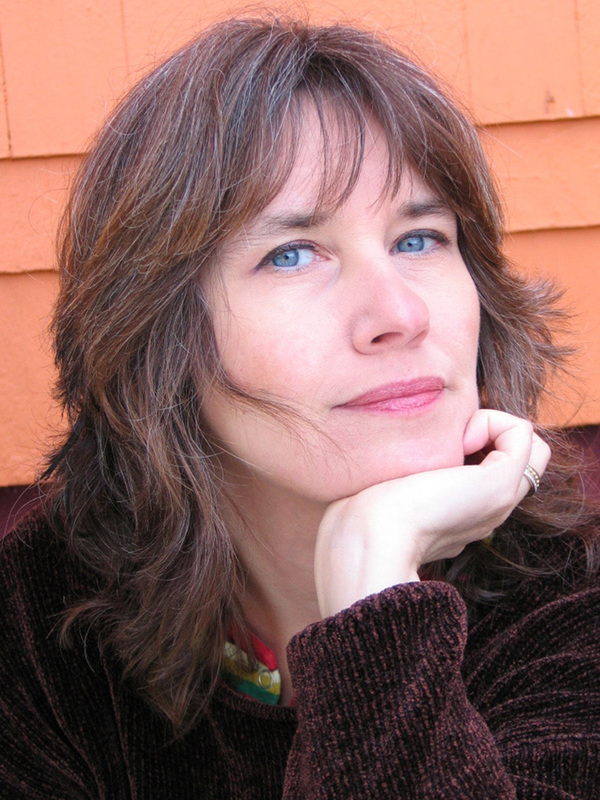 Julie teaches fiction and creative writing in New York. You can also visit her at juliechibbaro.com.